After a few, very hot days hill walking in the Arrochar area near Loch Lomond, we launched at Largs Marina with some kayaking friends who have recently bought a Coaster, named Shillen. 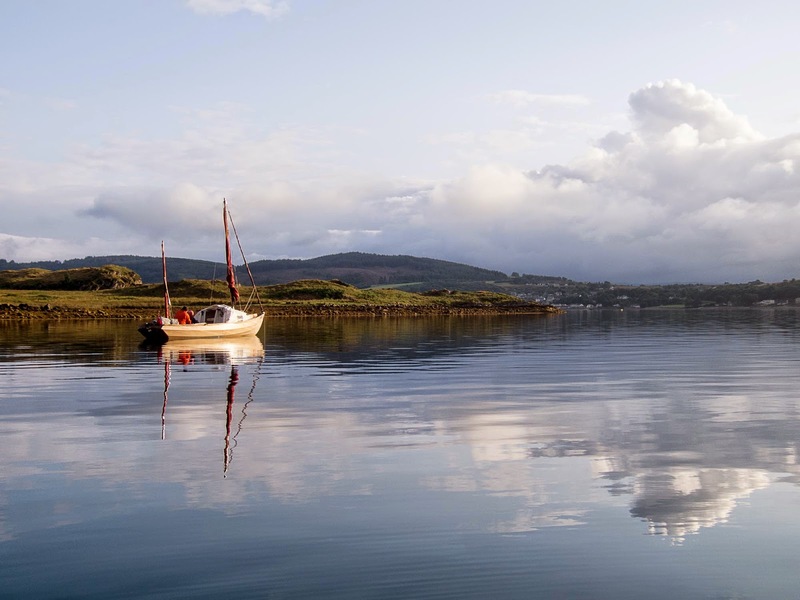 Largs Marina is well known in the Drascombe community, it has all the facilities you would need and provides a good starting point to explore the Clyde and surrounding waters. The cost was £20 to launch and recover but the parking for car and trailer were free. You could also leave the boat there on its trailer for £27 per week. A night on a pontoon cost a further £20. 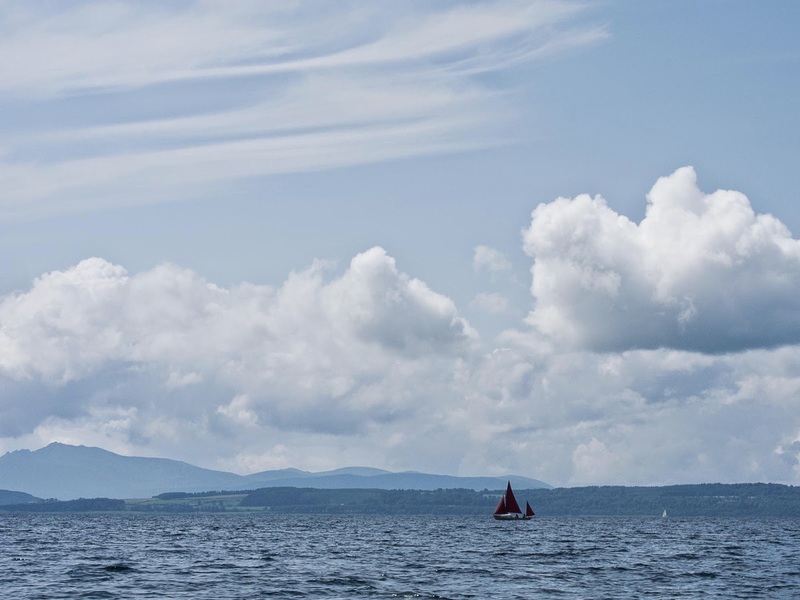 On the first day we headed south to Millport just for a day sail. The day after this we headed north to Rothesay and The Burnt Islands. From here we headed around to Portavadie, which must be one of the most select destinations we have ever visited. The facilities were quite exceptional and we were charged £13.70 for the night, which was very reasonable. All the staff were very helpful and the whole complex was very well managed but it was very quiet. 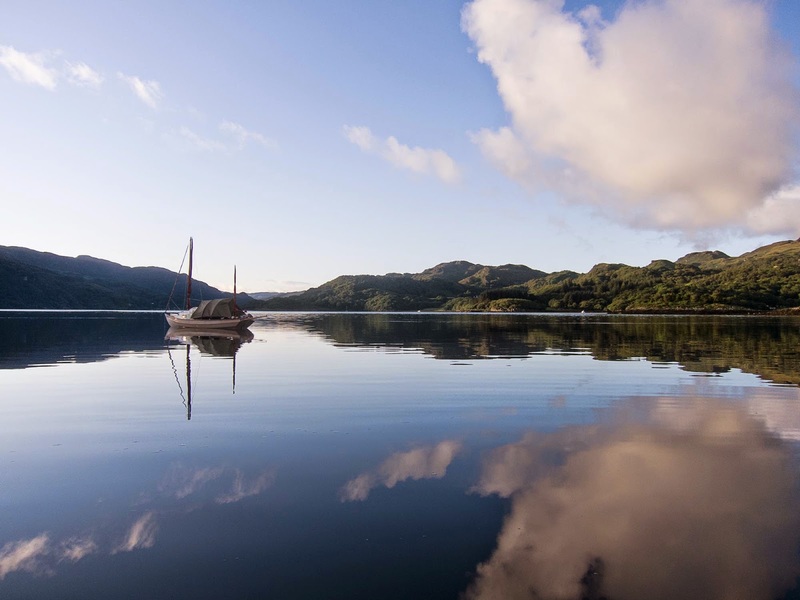 There is some good walking in the area and it is also possible to take the Ro-Ro ferry over to Tarbert. It runs every hour and a foot passenger return ticket is £14. A day sail in gusting winds over to Tarbert, gave us a chance to compare the two venues. The pontoons at Tarbert are free for a short stop over, enough time for some quick lunch and a touch of shopping. 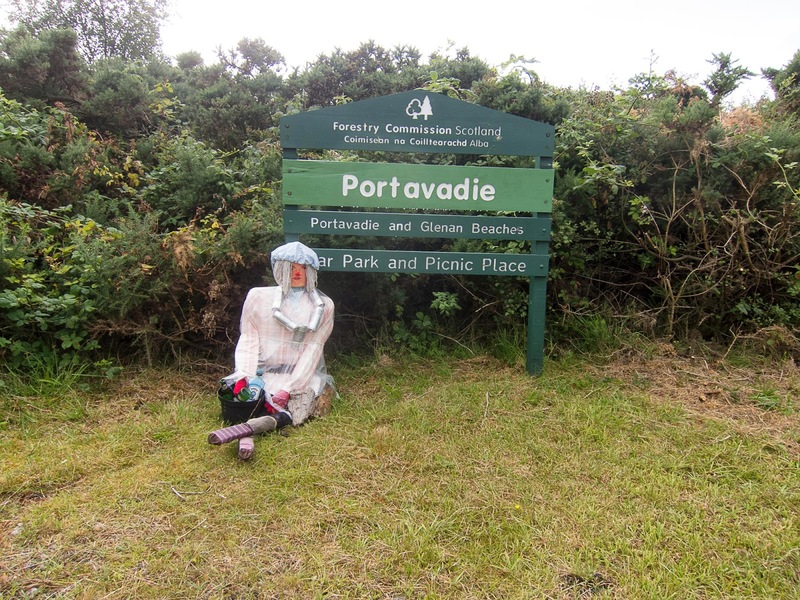 The cost for a nights stay is £16 and it was noticeably more busy than Portavadie. 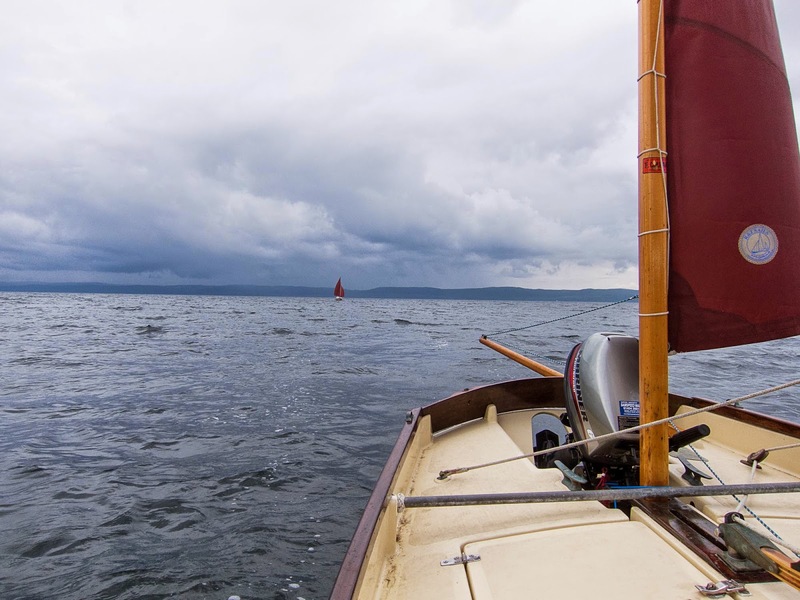 The wind never really cooperated during the trip and as we left Portavadie for Loch Ranza on Arran, the forecast westerly came round to the south-west, leading to a beat in a F4. 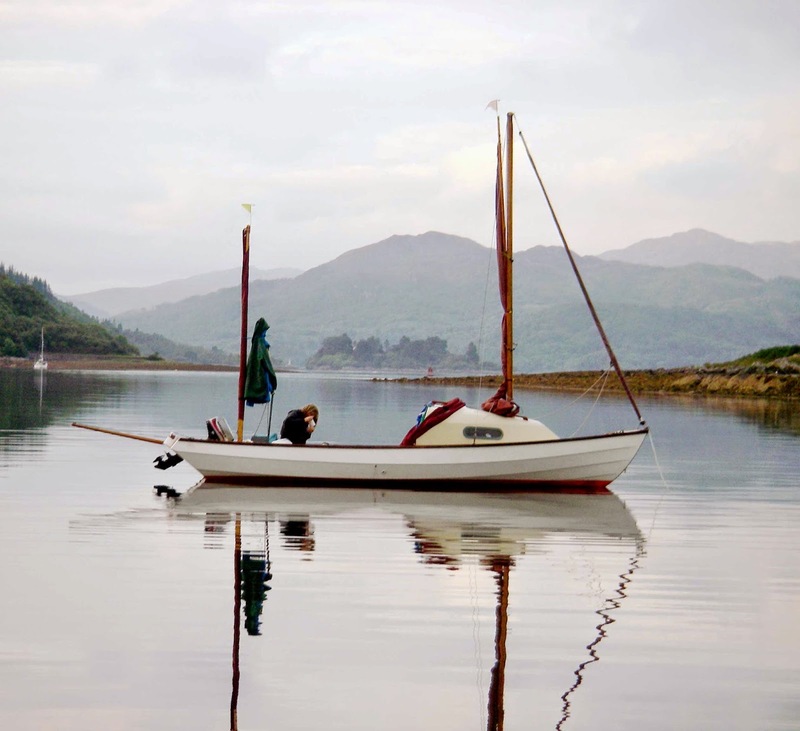 There are also pontoons at Loch Ranza but only for day time use and a small donation is suggested to assist in their maintenance. There are some visitor moorings but it would be easy to anchor in the Loch near the castle. However, it does dry out in this area so some careful checking of depths and tide tables is required. Heading back towards Bute we considered anchoring behind the island of Inchmarnock but this proved to be exposed so we headed back towards the Kyles of Bute and anchored for the night in Black Farland Bay, opposite Tighnabruaich. 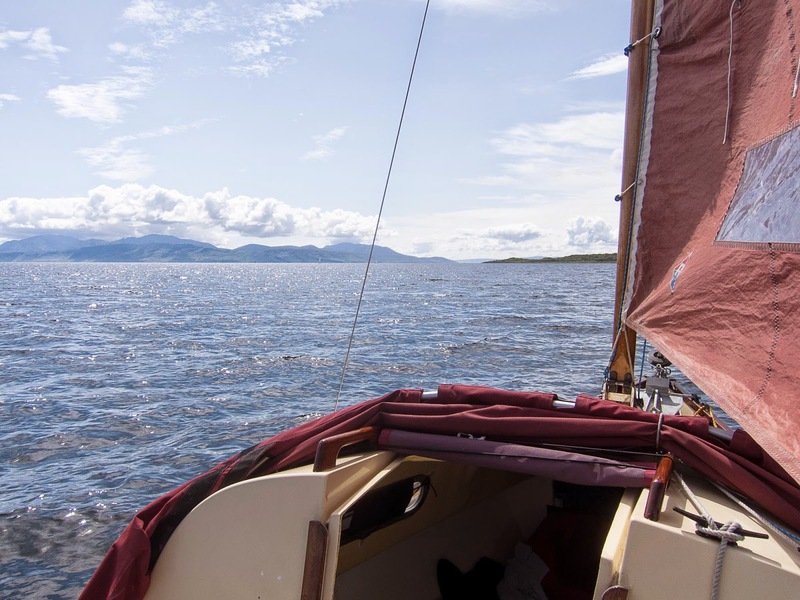 The final days sailing meant retracing our outward course, past The Burnt Islands and Rothesay, before crossing the main Clyde shipping channel to Largs. During the week there were many wildlife sightings but no submarines.